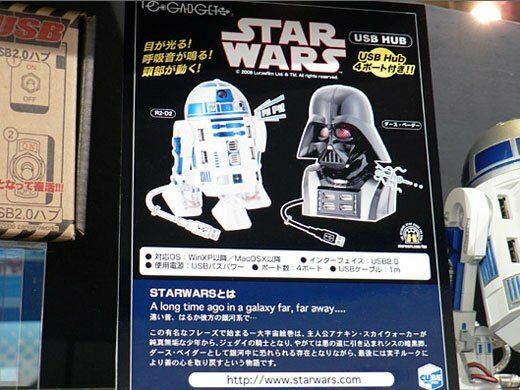 These official R2-D2 and Darth Vader USB hubs from Japan’s Cube-Works are a must for any serious Star Wars fan with a computer. 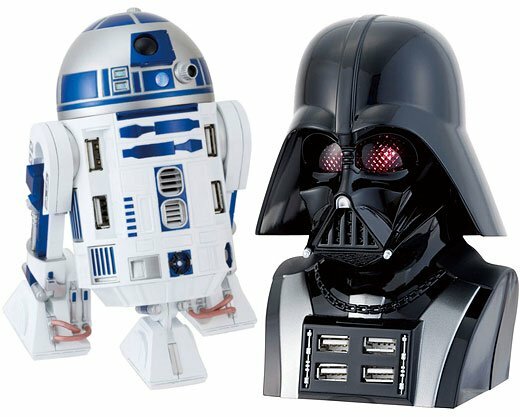 Whether you’re pro-Jedi or have a serious Sith streak, they’re the perfect desktop companion for connecting your USB gadgets. 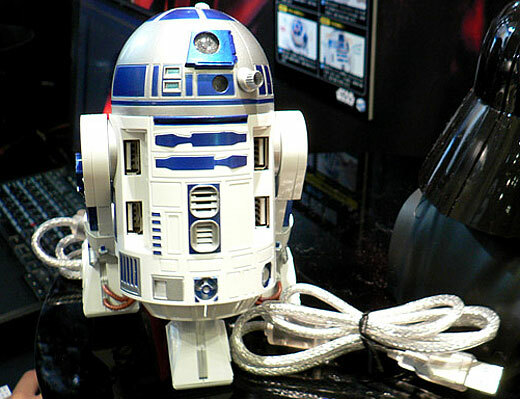 Both R2 and Darth offer four full-speed USB ports on their front. 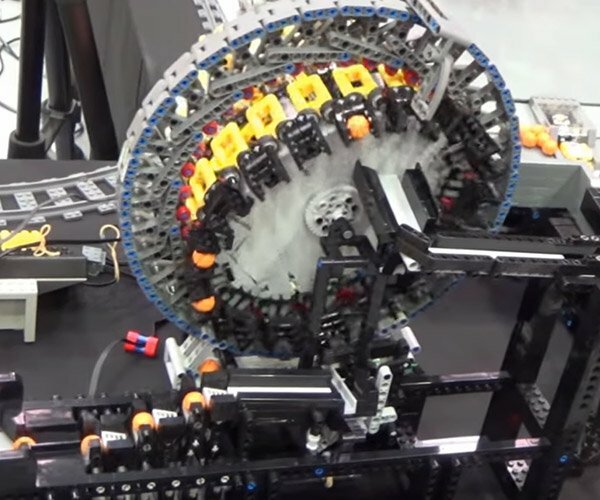 Now my Japanese isn’t all that great, but it sounds like every 3 minutes, R2’s head moves and lights up, and both hubs play some appropriate sound effects from the house that Lucas built. 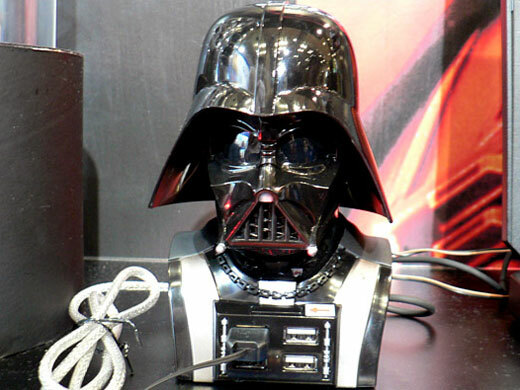 While I just love the details on the little droid, the minute I read that Vader’s eyeballs glow when connected to a powered USB port, I came over to the Dark Side for good. 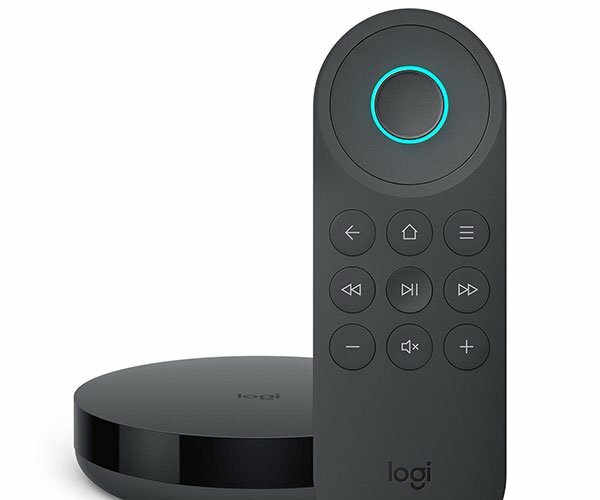 For the moment, these hubs are available only in Japan, but it’s only a matter of time before these hubs find their way to the rest of the world via importers. They should be hitting the streets of Tokyo in July at a price of ¥7,140 (appx. 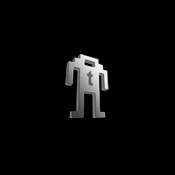 $66 USD) each. Post a comment if you happen to find a retailer!